Spencer Grace > Spencer Grace > Creativity > It’s just play. Life-changing play. It’s just play. Life-changing play. On New Year’s Day, I sketched a carrot. I didn’t think much about it. I just wanted to play. So I opened a drawing app on my iPad and started making orange and green smudges. As they began to resemble a vegetable, my thoughts wandered to health, and food, and healthy food. Didn’t Mark Twain say something about healthy food? Google answered that question for me. 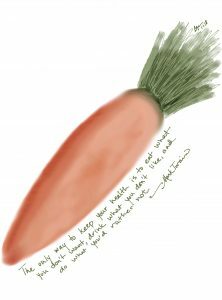 I jotted the Twain quote under the carrot, saved the image, and held it at arm’s length for a look. In moments, my carrot was on Instagram, Facebook, and Twitter. And I was on to something else. Playtime was over. The next day I found myself waiting for my daughter to finish a hair appointment. How to fill the time? Facebook? News headlines? Word games? Perhaps another drawing. 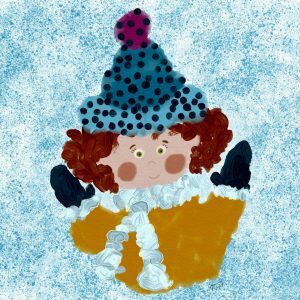 The sub-zero temps inspired a curly-haired girl all bundled and rosy. And so began my daily creativity discipline for 2018. This year I am drawing a picture, every day. It’s not my first go-round with a daily challenge. In 2012, I wrote a poem every day. 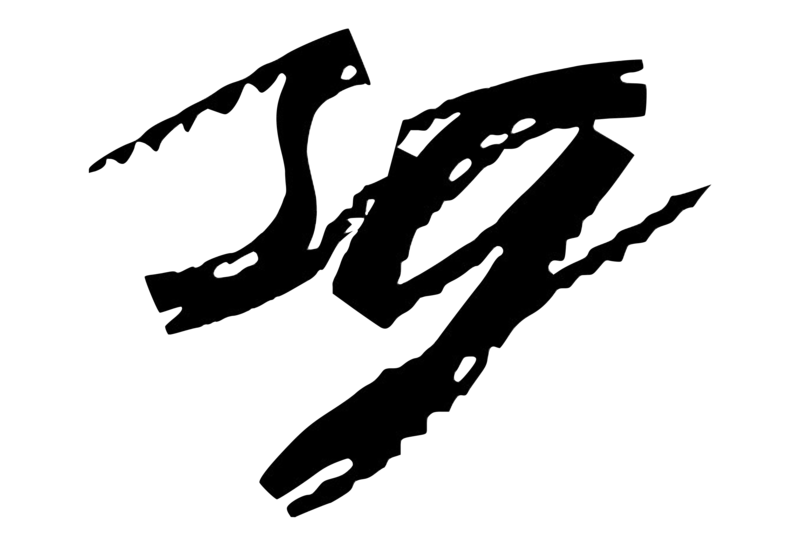 The next year, I made something every day. Since then, I’ve completed several monthly creative sprints and used daily discipline to change my habits for diet, exercise, and even bed-making. I am a daily practice junkie, as I’ve said before. But up to now, I mostly thought of daily practice as a path to healthy habits. 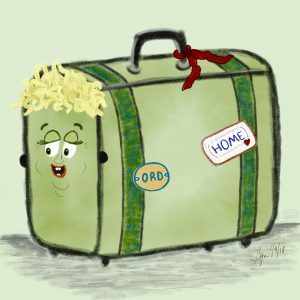 This year, my everyday doodles are about play. When my daily practice is playful, I experience good things in my brain, my mood, my relationships, my home, my business … my life. That’s why I’m forever encouraging other people—including you—to embrace this concept. I want you to discover the valuable returns that come from your daily investment in play. 1. You’ll experience a different perspective. Just 30 days into my daily drawing challenge, I’m already seeing things differently. That man’s face is actually a triangle. That apple is so red it’s practically purple. That suitcase looks almost human. As my family will tell you, I am notorious for seeing the forest and not the trees; learning to mind these details is building my curiosity to notice more. 2. You’ll gain access to new territory. When was the last time you were a total beginner, with nothing to do but learn? Inch past the intimidation of being inexperienced, and feel the thrill of being new—with zero risk of failure. (You can’t do it wrong; it’s play.) 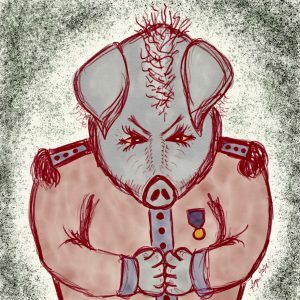 I am not a skilled illustrator, I haven’t taken an art class in decades, and I am a total novice with drawing apps. So facing a digital drawing canvas puts me squarely in the place of the beginner. I have everything to learn and nothing to lose. 3. You’ll always have a story to tell. Inventing something every day is a satisfying replacement for consuming other people’s crap—especially the incessant whining, recycled news, and other nonsense of our social media feeds. Take on daily play, and you will not only find a pleasant way to occupy some time, you’ll also always have something positive to share. My social media followers can count on a fresh creation from me every day. And in real life, I always have a story to tell: the story of yesterday’s drawing, the story of this year’s challenge, the story of my life as a daily practice junkie. I feel good about what I’m contributing to the conversation. 4. Your confidence will grow. I don’t expect that drawing every day will make me a “good” artist. My oh-so-amateur illustrations are not going to earn me any money, go viral, or find their way into a gallery. And yet, the more I draw or write or make things, the easier it is for me to face the task of drawing or writing or making things. (This is precisely why Jill Pollack and I pull people into the discomfort zone in our Story Mode labs and workshops. That’s where artistry is born!) And the more I publish my output—even the crappiest poems and the weirdest drawings—the more my confidence grows. To go public as a playful creator, I’ve had to summon my courage, get over my inhibitions, and share boldly. That confidence has spilled over into other parts of my life—especially my business. I mean, if I have the guts to share this bizarre pig, imagine what else I might do! Give daily play a chance to change you. 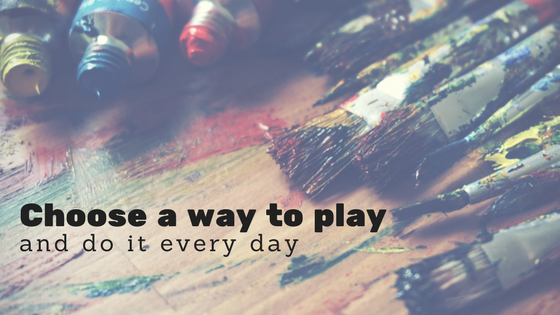 Choose a way to play, and do it every day. You could futz with words or crayons or recipes or tumbling moves or sandcastles. Pick something that interests you, and give it a go—at least for a week, maybe even a month or a year. And don’t keep your experiment a secret; go public as a person who plays. Notice what happens, and let me know.